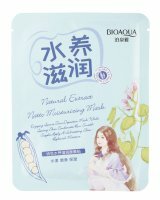 BABY SKIN Soft White Moisturizing Mask by Bioaqua. Whitening sheet mask. Suitable for all skin types. 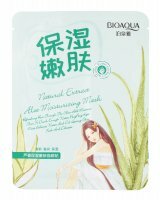 It has intensely moisturizing effect. Perfect for heavily dried and rough skin. At the same time it evens skin color, giving face a healthy and radiant appearance. Collagen restores skin's lost elasticity and firmness, providing so-called 'baby face' effect. Strong moisturizing and nourishing effect. Restores elasticity and firmness of skin. 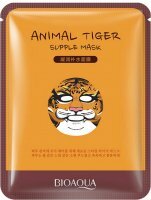 HOW TO USE: Gently apply the mask to cleansed face. After 15-20 minutes, remove. Gently pat the remaining essence in the skin of face and neck.